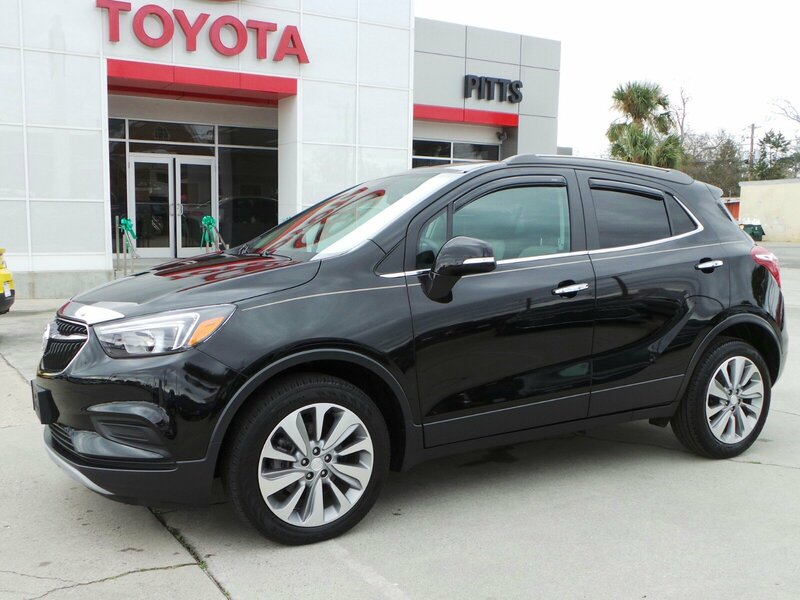 This Buick Encore has a strong Turbocharged I4 1.4/83 engine powering this Automatic transmission. TRANSMISSION, 6-SPEED AUTOMATIC, ELECTRONICALLY-CONTROLLED WITH OVERDRIVE includes Driver Shift Control (STD), SHALE, CLOTH WITH LEATHERETTE SEAT TRIM with Ebony accents, SEATS, FRONT BUCKET (STD). Carfax One-Owner. 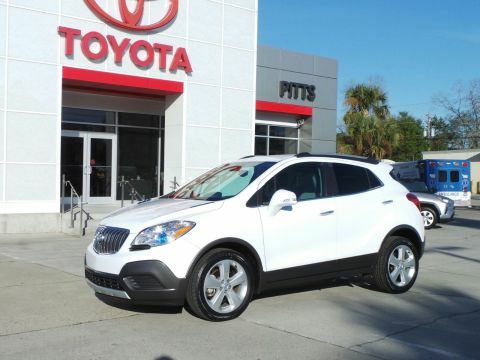 *Packages That Make Driving the Buick Encore Preferred An Experience*REMOTE VEHICLE STARTER SYSTEM includes Remote Keyless Entry, PREFERRED EQUIPMENT GROUP Includes standard equipment, LICENSE PLATE BRACKET, FRONT, ENGINE, ECOTEC TURBO 1.4L VARIABLE VALVE TIMING DOHC 4-CYLINDER SEQUENTIAL MFI (138 hp [102.9 kW] @ 4900 rpm, 148 lb-ft of torque [199.8 N-m] @ 1850 rpm) (STD), EBONY TWILIGHT METALLIC Includes (CM5) Black Carbon Metallic lower exterior accent color, Paint code W700S. ), BLACK CARBON METALLIC LOWER EXTERIOR ACCENT COLOR, AUDIO SYSTEM, BUICK INFOTAINMENT SYSTEM, AM/FM STEREO, SIRIUSXM with 8 diagonal Color Touch Screen, includes 2 USB ports, Bluetooth streaming for audio and select phones and Phone Integration for Apple CarPlay and Android Auto capability for compatible phone (STD), Wipers, front intermittent with pulse washers, Wiper, rear intermittent, Windshield, solar absorbing, Windows, power, rear with Express-Down, Window, power with front passenger Express-Down, Window, power with driver Express-Up/Down, Wheels, 18 (45.7 cm) machined-face alloy with Light Argent Metallic pockets, Visors, driver and front passenger illuminated vanity mirrors, covered. *Know You're Making a Reliable Purchase *According to Carfax's history report: Carfax One-Owner Vehicle, No Damage Reported, No Accidents Reported. *Stop By Today *Test drive this must-see, must-drive, must-own beauty today at Pitts Toyota, 210 N Jefferson St, Dublin, GA 31021.